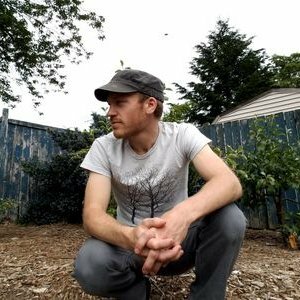 Luke Ruggenberg has worked in the glamorous world of horticulture, as a gardener and nurseryman, for over a decade. (A degree in botany will take you places.) But he’s been writing for much longer than that, just ask any of his school teachers. If he had to choose between writing and gardening, he would fail to do so and probably just crumple into a heap on the floor. 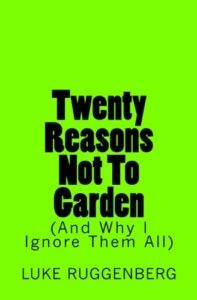 Twenty Reasons Not To Garden (And Why I Ignore Them All) is his first published book. He wrote it because he thinks gardening is pretty funny, dangit, and garden writing ought to occasionally reflect this. Luke grew up dodging falling apples in his Dad’s orchard in the Pacific Northwest. For some reason, he still likes apples. He now lives in the Seattle area with his wife and their two children. These are the real reason for, and primary impediment to, his writing. Too many innocent souls have already stepped on the poorly-placed rake that is Gardening. If you picked up this book, chances are it’s too late for you. But even if you have been rake-smacked, you can still put down the trowel, take off the vest, and join reluctant horticulturist Luke Ruggenberg as he ticks off twenty hilarious reasons to get out of the garden. Here you can suffer the existential angst of the perfect pruners, hop in a limo as paparazzi hound the celebrity gardener, try your best to “Name … That … Plant!”, endure a slapstick visitation from the dreaded Green Reaper, or take a trip to the gardeners-only Emergency Room. Discover just how bad an idea playing with plants really is … and why one man does it anyway.